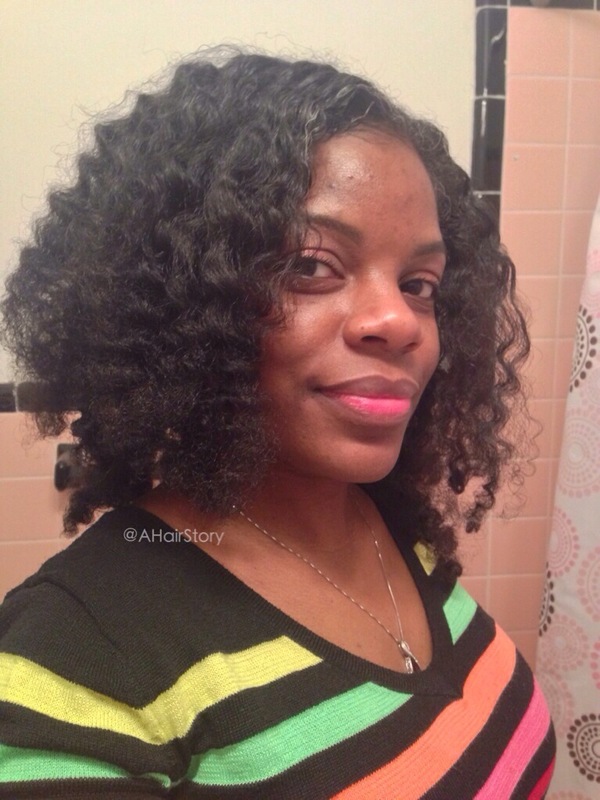 If you follow me on Instagram @AHairStory, I’ve mentioned that I used a new hair product. Here it is! 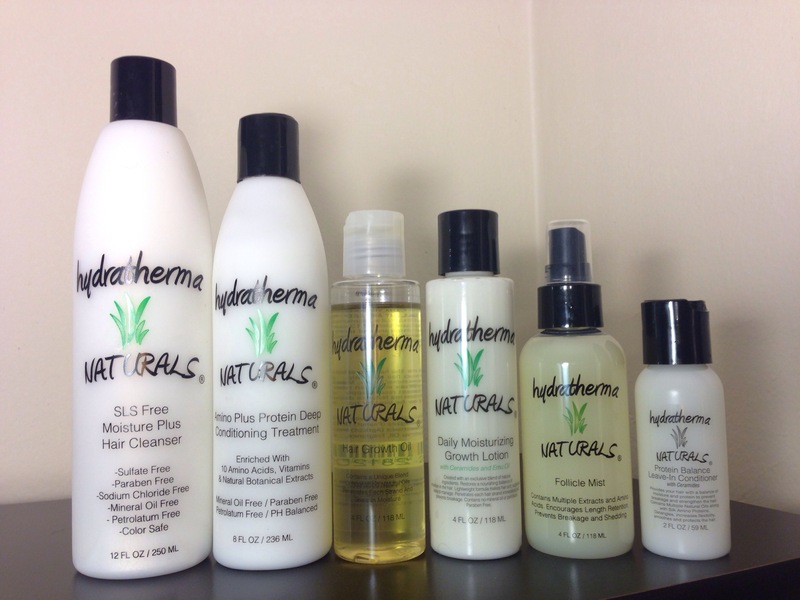 I began using Hydratherma Naturals on Friday and my first impression… LOVE! I’m big on smells, so if something doesn’t smell good or is too fragrant, I’m less likely to use it. These products completely won me over with the smell. They have a wonderful, light, sweet fragrance. I used the SLS Free Moisture Plus Hair Cleanser first. I’m pretty new to cleansers since I’ve been using Selsun Blue for so long and recently stopped. With this cleanser, a little goes a long way. It smells very fresh and lathers just enough for me to get a clean feeling. My hair felt moisturized and not stripped after. Next, I used the Amino Plus Protein Deep Conditioning Treatment. My hair needed a good treatment since I wore it straight for two weeks. I’ve found it hard to find great protein conditioners that still leave your hair feeling moisturized. This is definitely one! Again, a little goes a long way. I left it in longer than the recommended time (10-20 minutes) because I got caught up doing other things. Once I rinsed out the conditioner, I towel dried my hair and applied some of the Protein Balance Leave-in Conditioner, followed by the Daily Moisturizing Growth Lotion, then the Hair Growth Oil mostly to my ends to keep them moisturized. The Hair Growth Oil is probably the one product I expected to not smell so great as all of the other did (because most oils don’t smell good) and I was pleasantly surprised that it had a very light fragrance and not an odor. 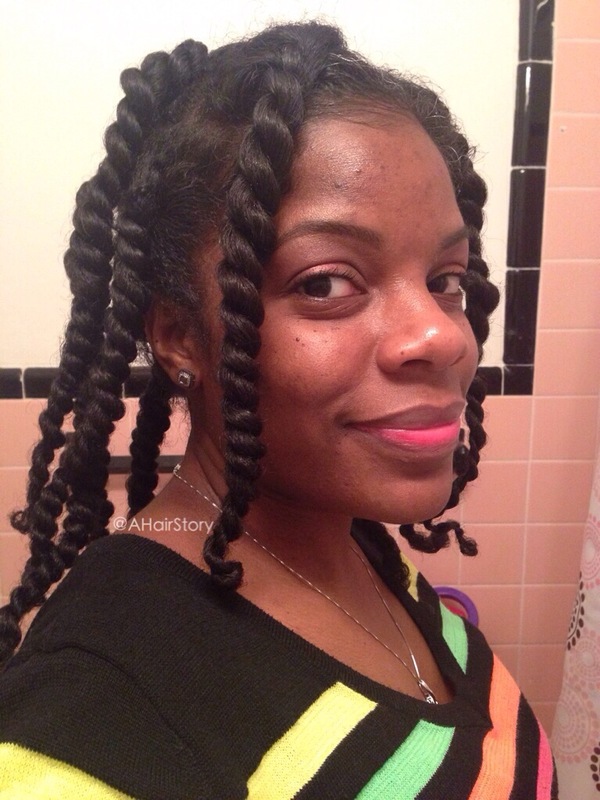 I twisted my hair into 12 twists and sprayed some of the Follicle Mist on my scalp. It smells a little like coconut. I didn’t massage it in as the instructions stated, because my hair was already twisted. I should have read the instructions first huh? Maybe next time. This was my twistout. My hair felt soft and moisturized. 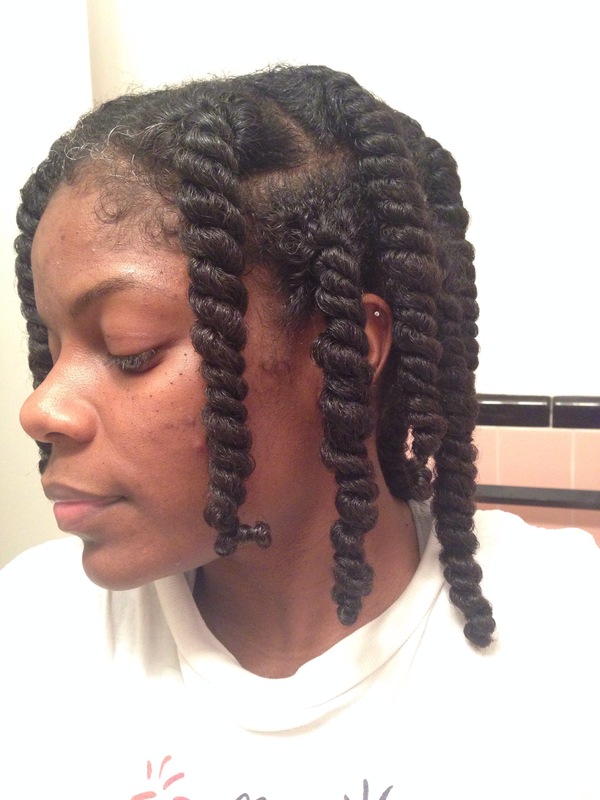 I retwisted my hair last night using the Daily Moisturizing Growth Lotion and the Hair Growth Oil. I’m hoping to keep my hair twisted for most of the week. I can’t hide under my winter hat anymore though. I will continue to use these products. Based on my first impression, I highly recommend them. If I had to choose just 3, I would definitely go with the SLS Free Moisture Plus Hair Cleanser, Amino Plus Protein Deep Conditioning Treatment and the Daily Moisturizing Growth Lotion. The product of the month is the Herbal/Amino Clarifying Shampoo and it’s currently listed at 20% off on Amazon, but the sale ends tomorrow 3/17/14. I hope you found this review helpful. Great review! I just heard about the company a week or so ago and was curious on who has used them! If you don’t mind sharing how much total you spent? Worth the cost? Thanks!! Your hair looks so healthy. how often do you shampoo and use heat?